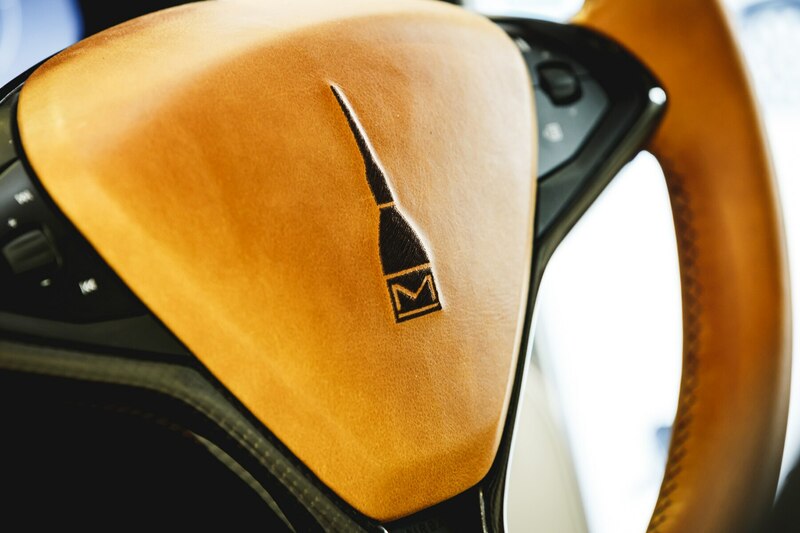 TURIN, Italy — We sip espresso in the semi-circle waiting area of Umberto Palermo Design (UP Design) surrounded by strange, futuristic-looking goods ranging from a carbon-fiber bicycle to a shiny, high-tech cappuccino maker. 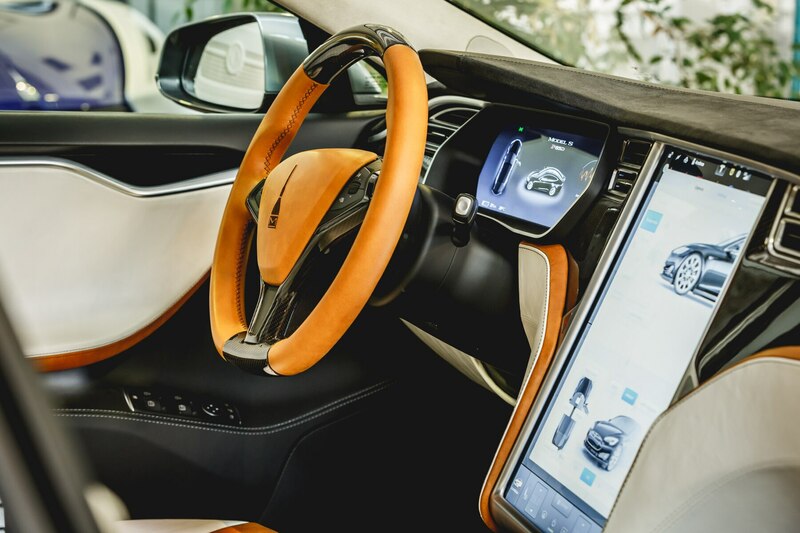 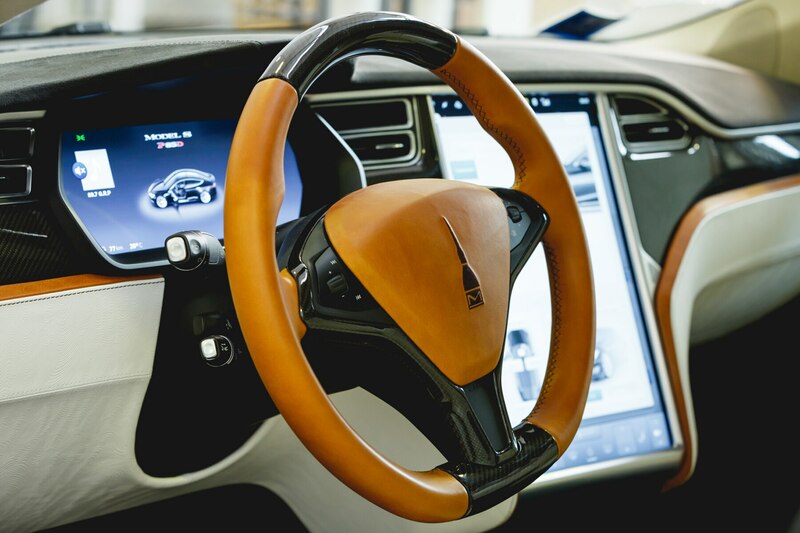 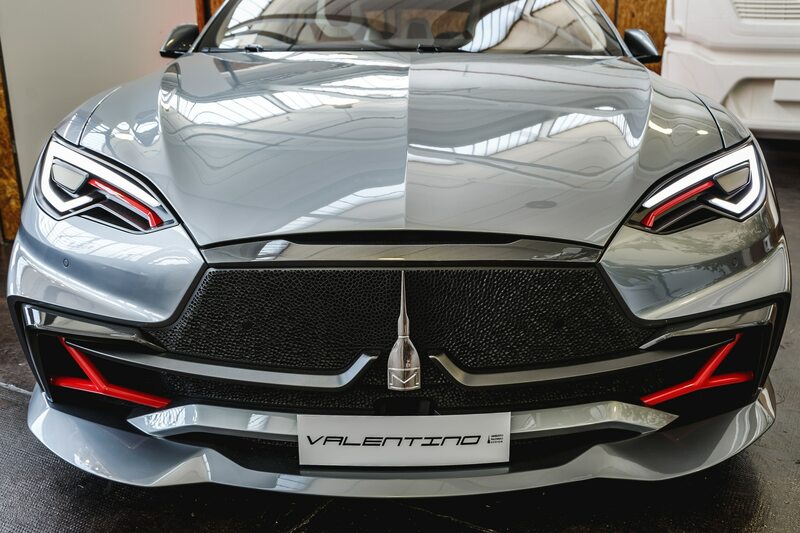 They came from the mind of the man we’re here to meet, designer Umberto Palermo, who wants to show us one of his latest creations: a funky, fully customized Tesla Model S called the Valentino. 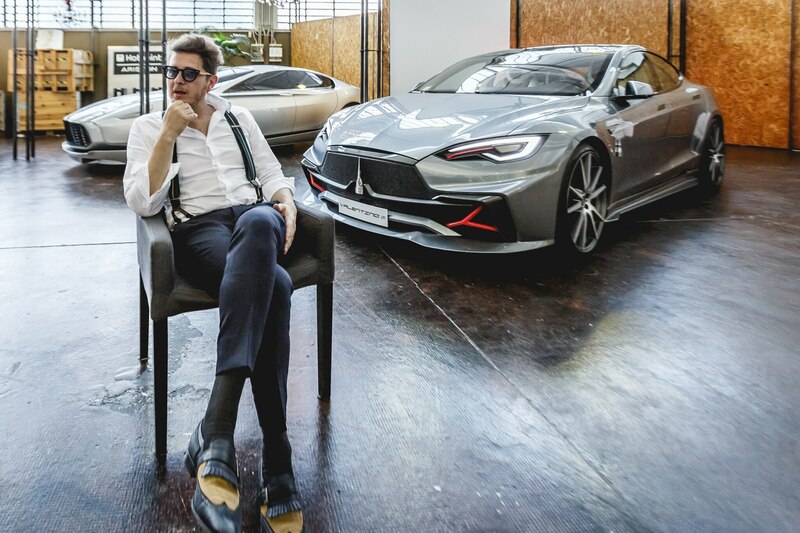 A small Italian army shuffles toward us, led by Palermo, a young man with a pompadour who is using suspenders to lift his black slacks far above his Electric Blue wingtip shoes. 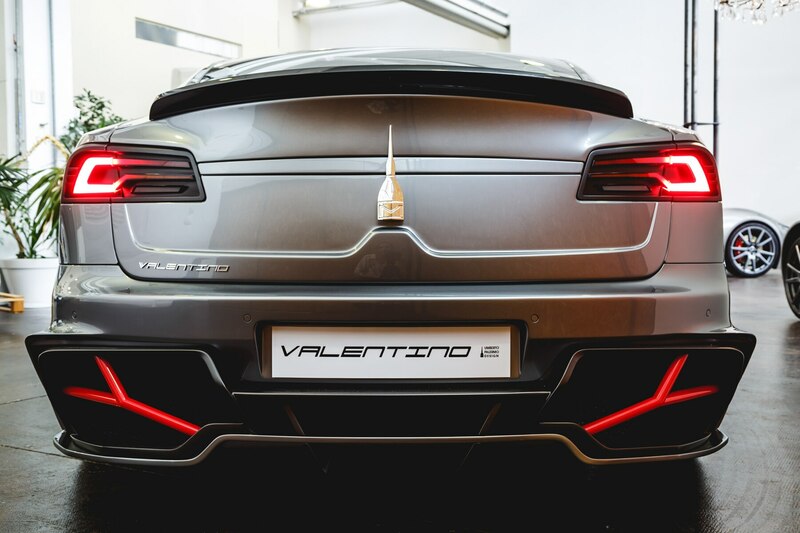 “Ciao, ciao, I am Umberto, buongiorno,” he says. 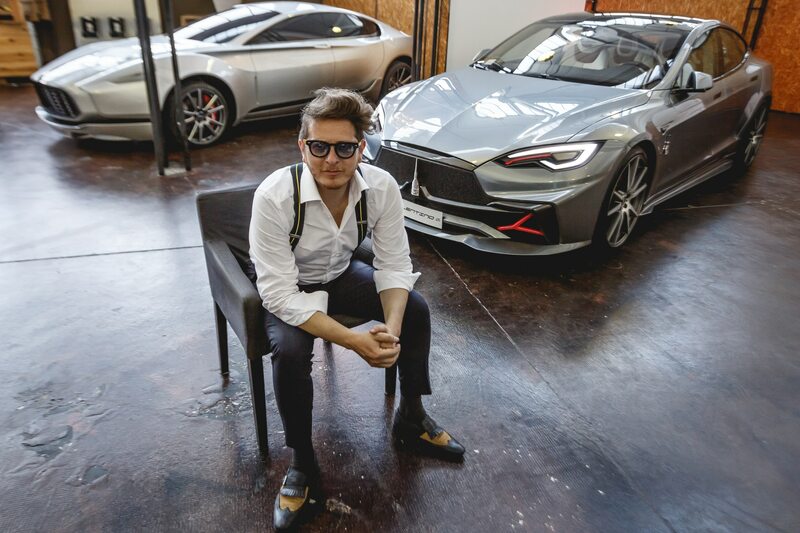 Barely in his 30s, Palermo drives his team to dream up fascinating industrial designs for all kinds of companies, but it’s clear one of his strongest passions is cars. 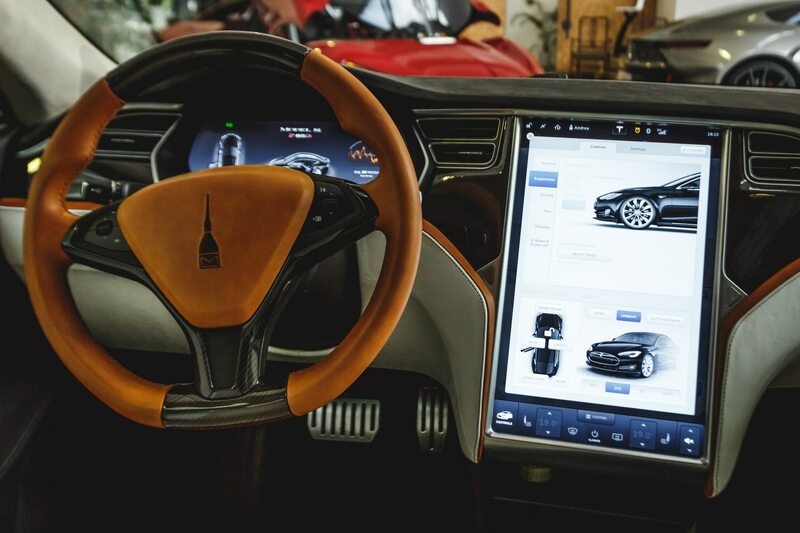 He has founded a boutique carmaker, Mole, which will build custom electric vehicles in extremely limited quantities. 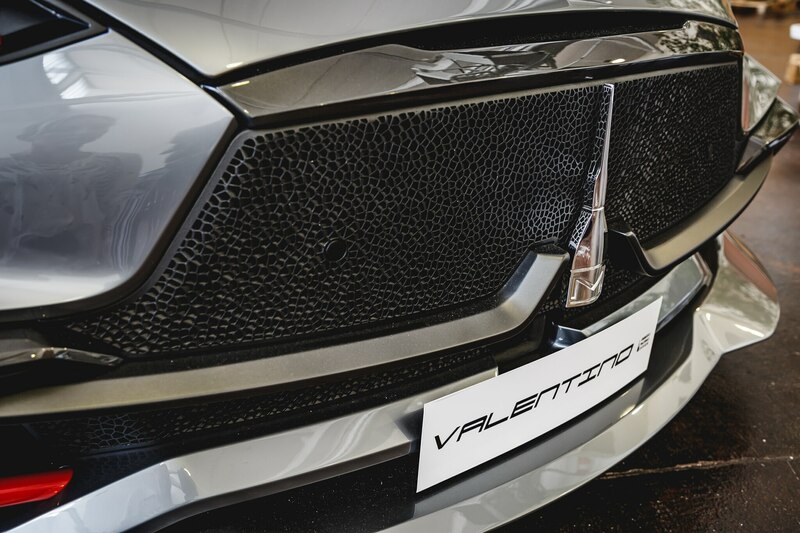 In broken English, Palermo says, “The approach to electric mobility is now. 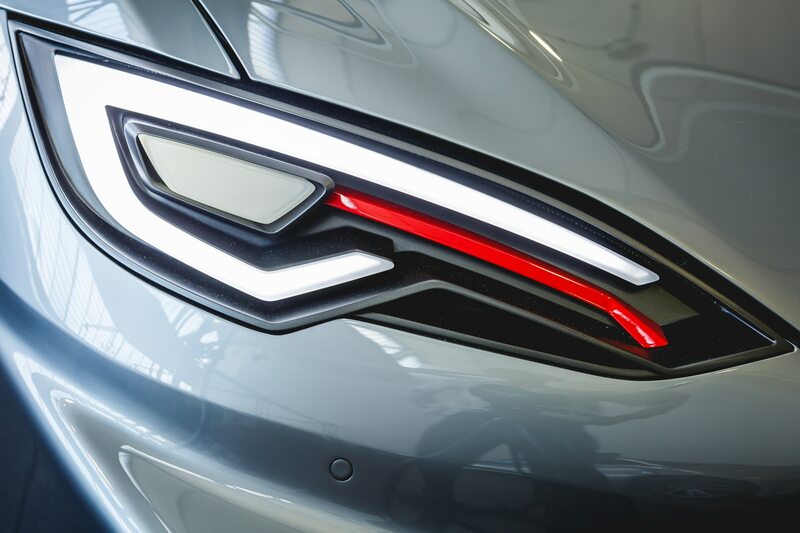 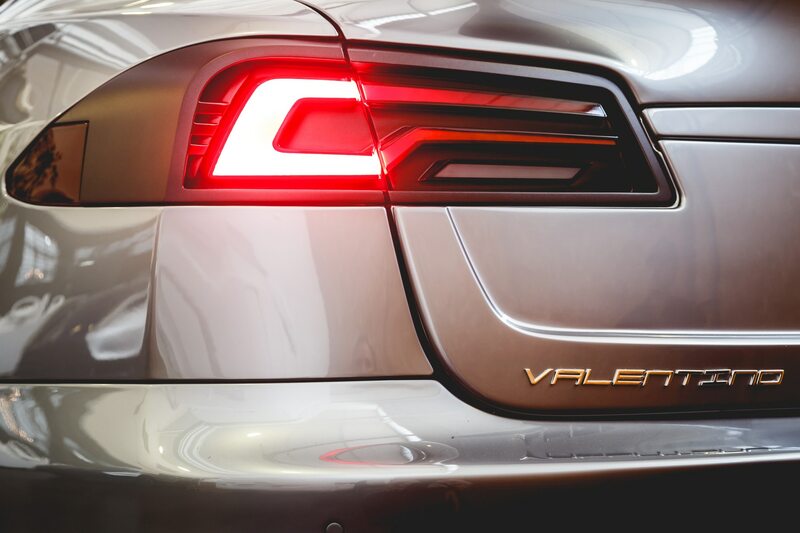 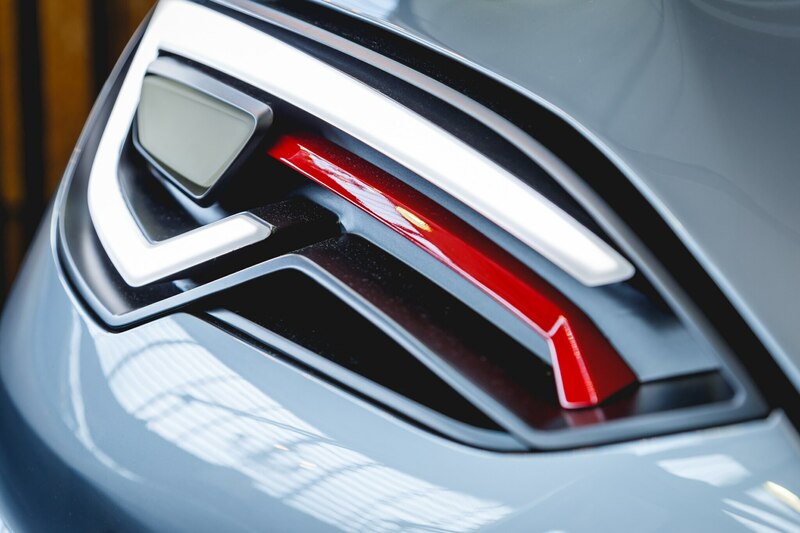 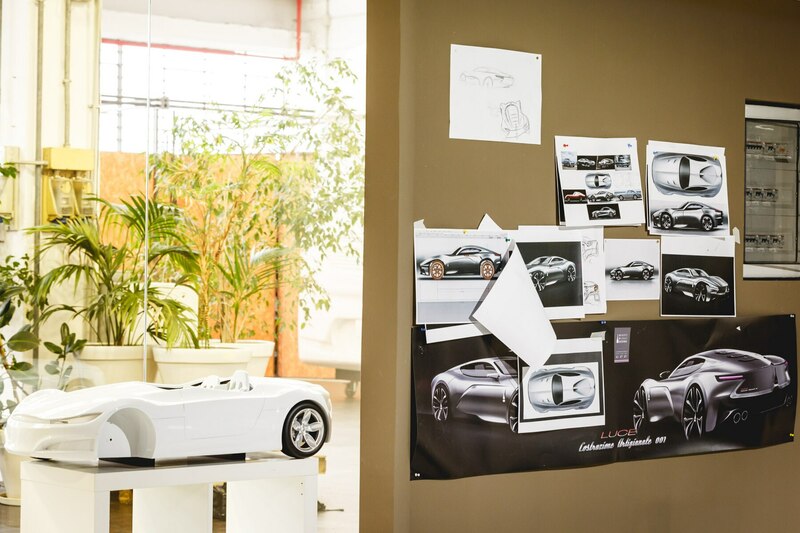 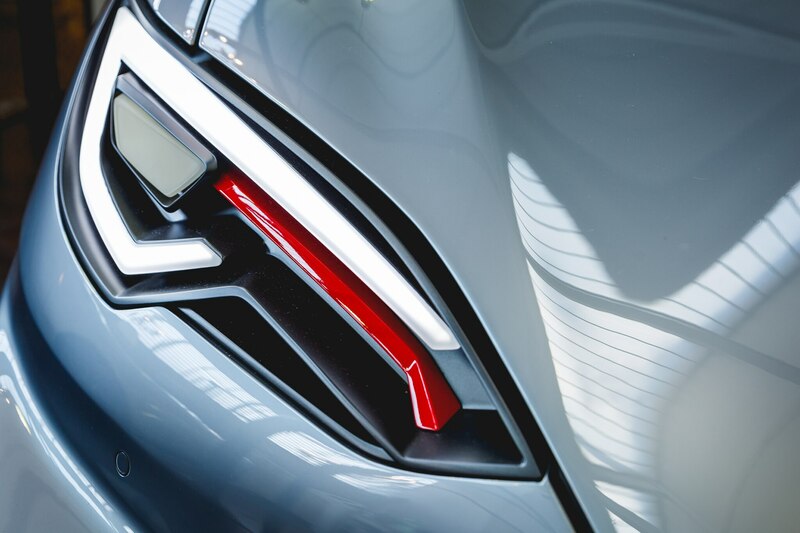 We will make a sleek-looking, two-door coupe built on a tubular chassis, with a body crafted out of a composite material that’s entirely recyclable.” He leads us into the epicenter of his design studio, where the Valentino is sitting. 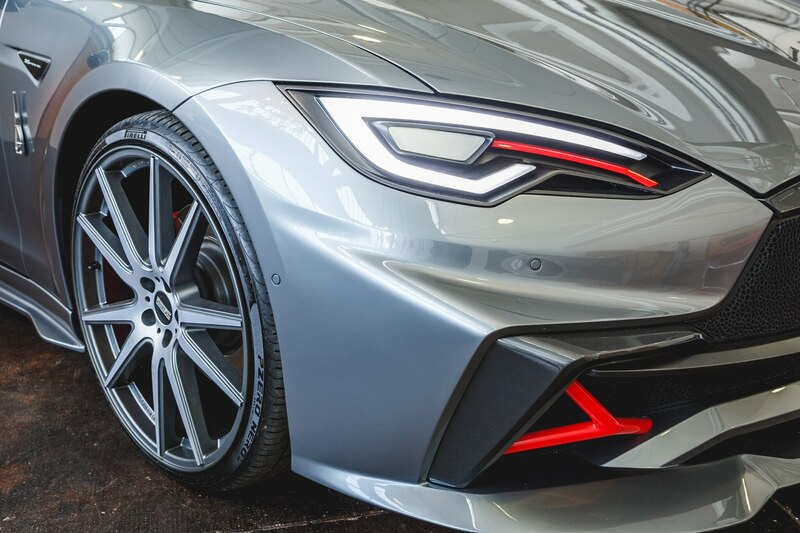 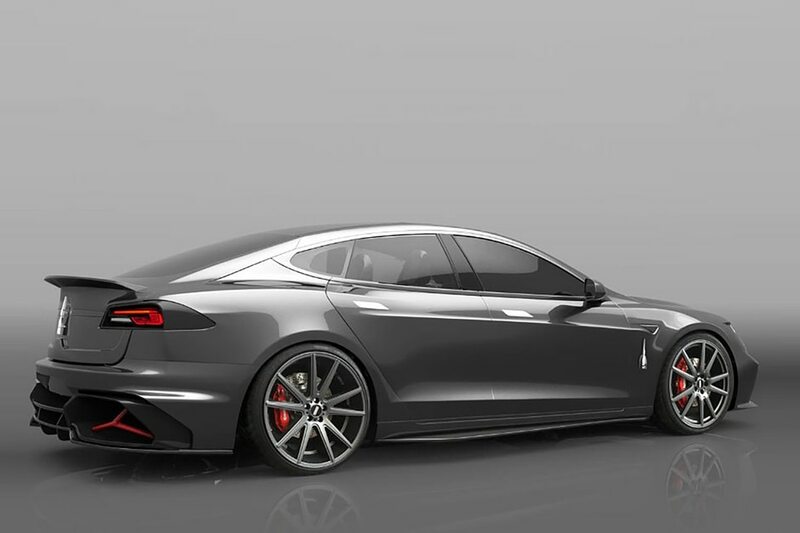 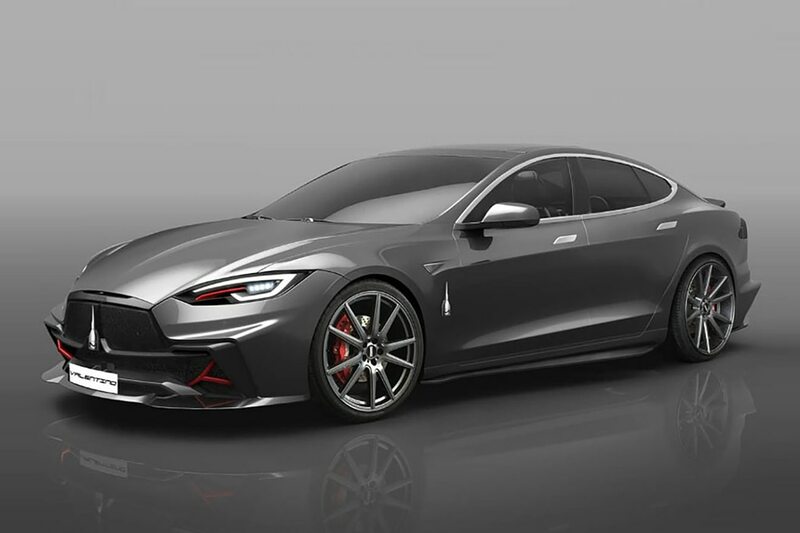 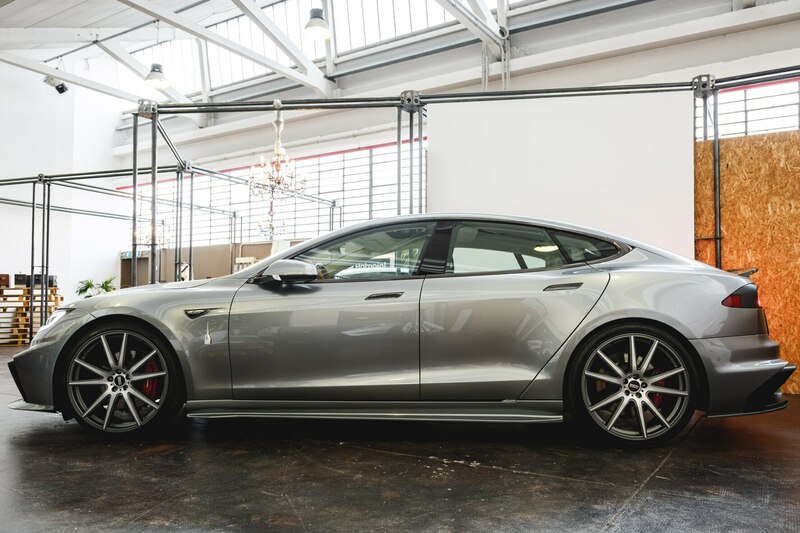 The electric sedan has been fitted with a full carbon-fiber body kit, which includes a deep-dish front bumper with a splitter and Y-spoke accents, as well as 22-inch aluminum wheels. 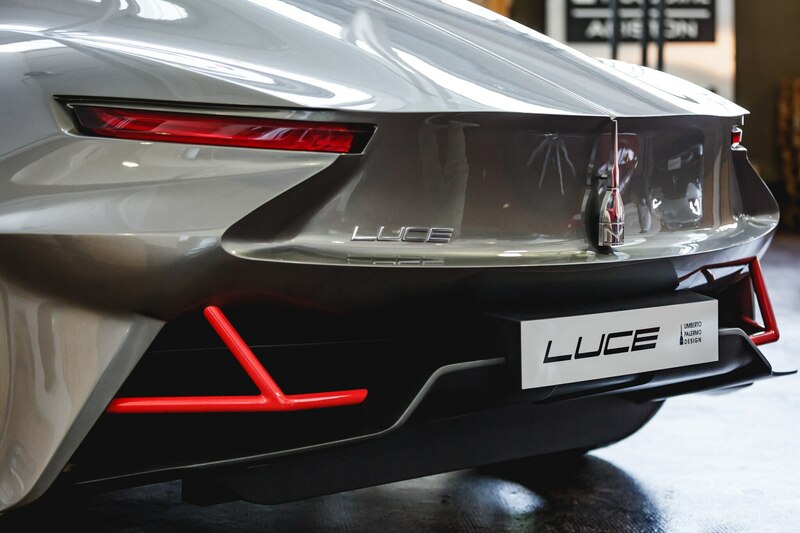 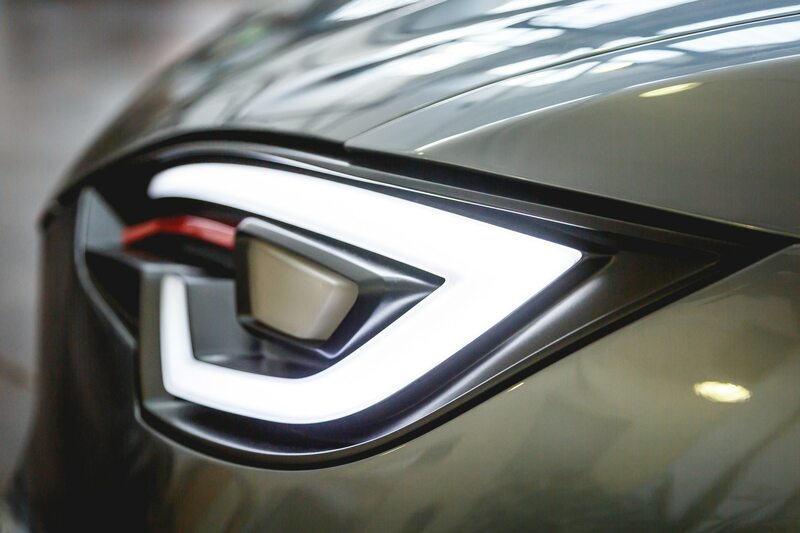 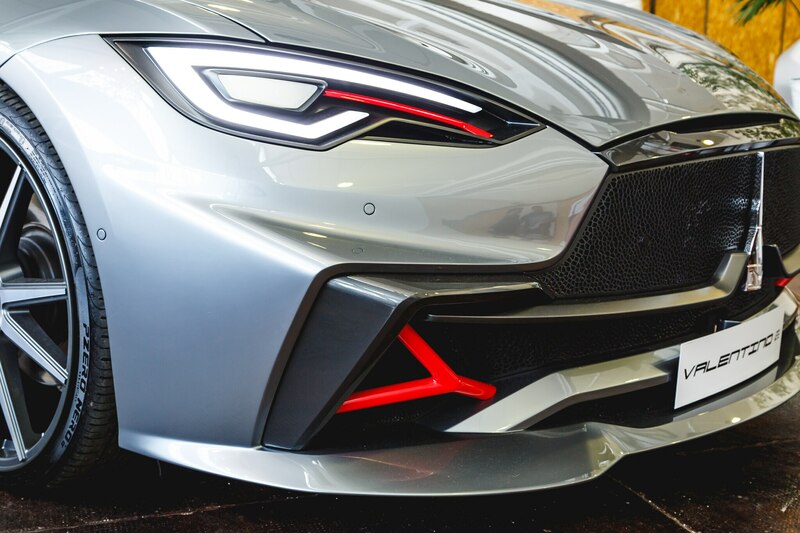 In addition, there’s now loud red trim embedded in the headlights and the rear end is finished off with a giant air diffuser and bespoke taillights with black bezels. 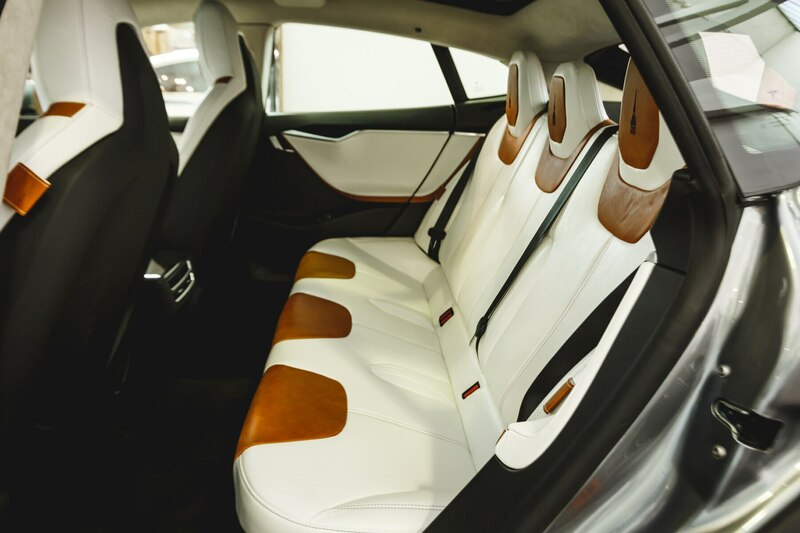 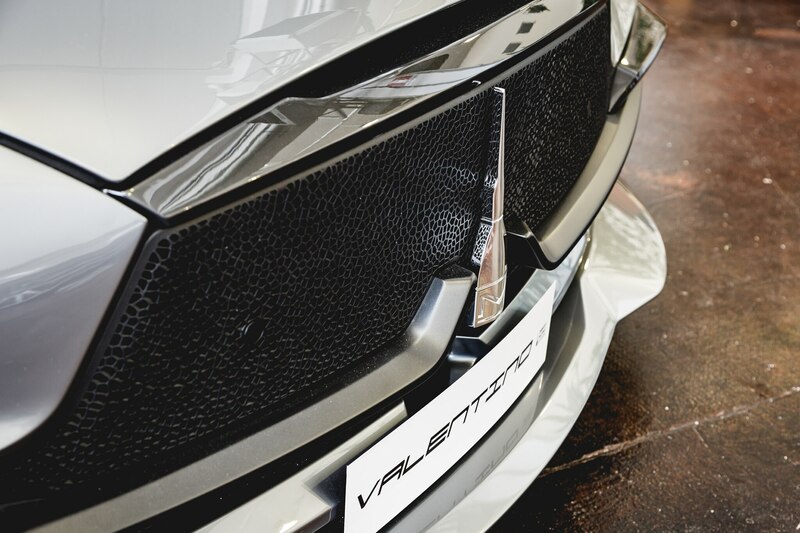 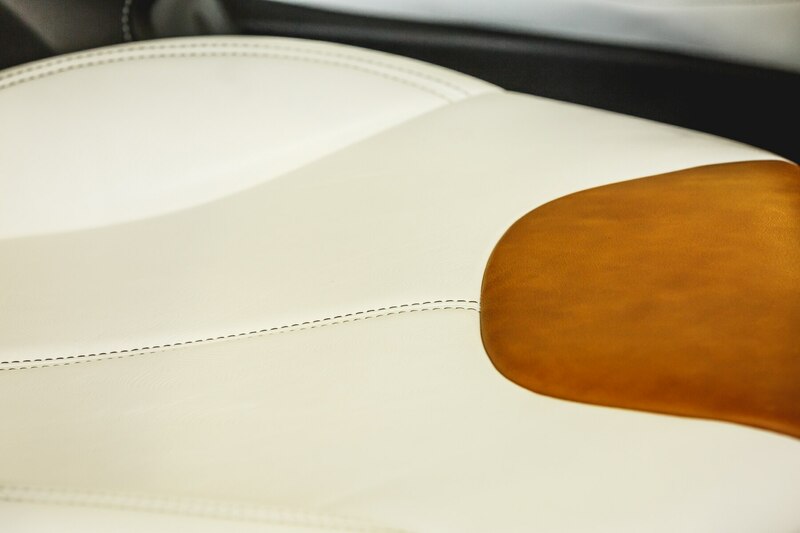 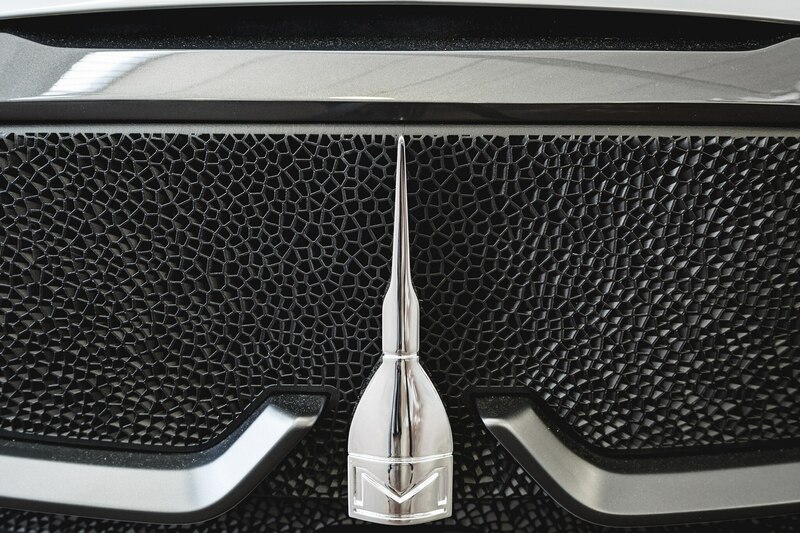 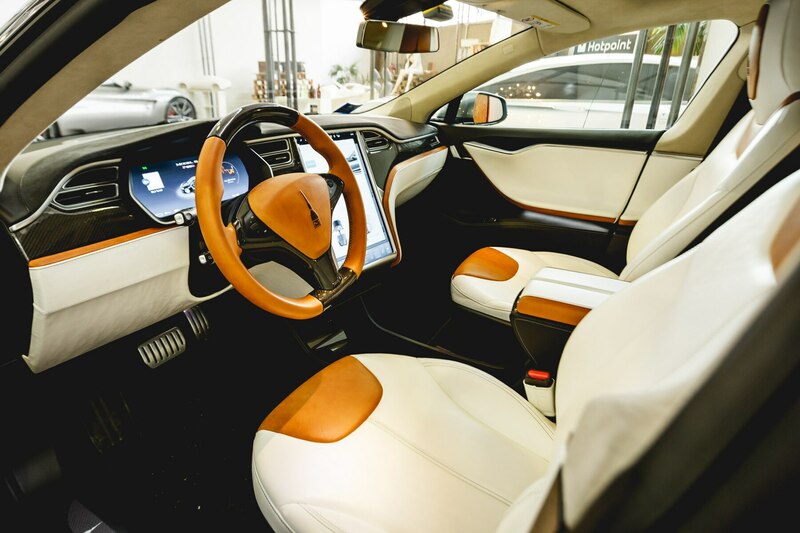 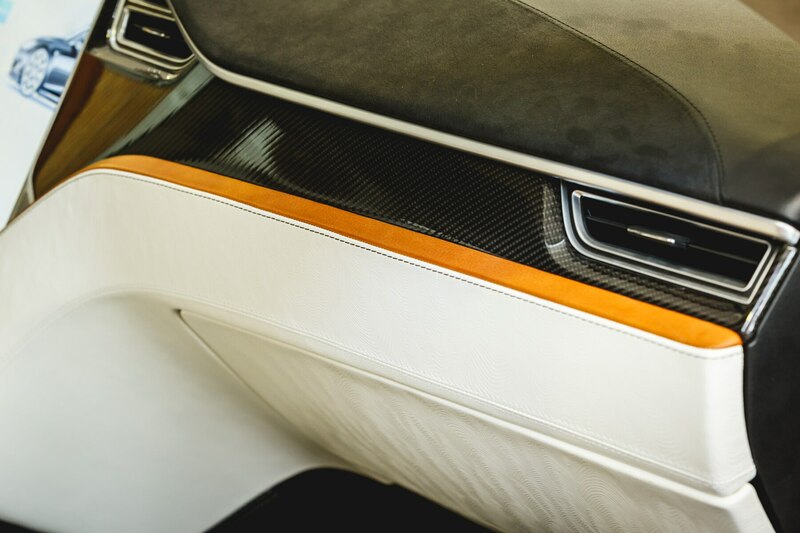 Foglizzo — a famous Italian handmade leather factory — pressed each panel of the Valentino’s white leather interior with a flowing pattern that compliments the car’s bodywork. 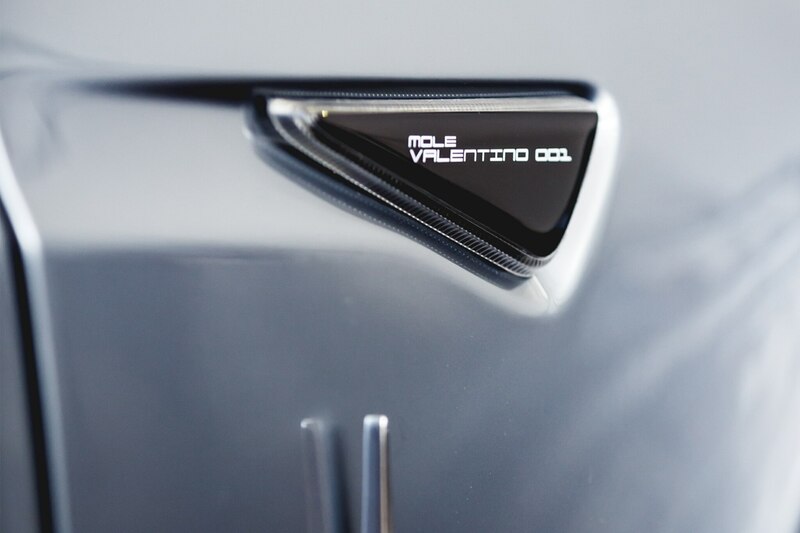 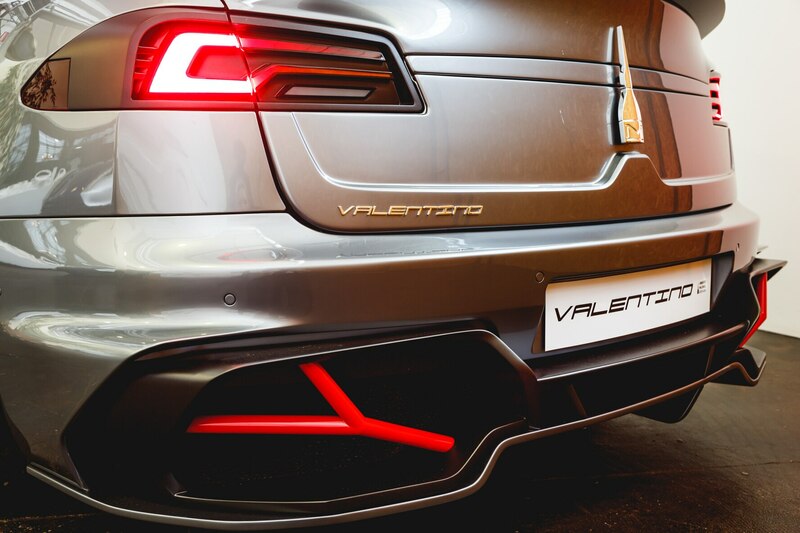 There isn’t much about the Valentino Tesla Model S that’s low profile, and while Palermo doesn’t have plans to build a second example of the car, anyone with enough cash could probably persuade him to do so. 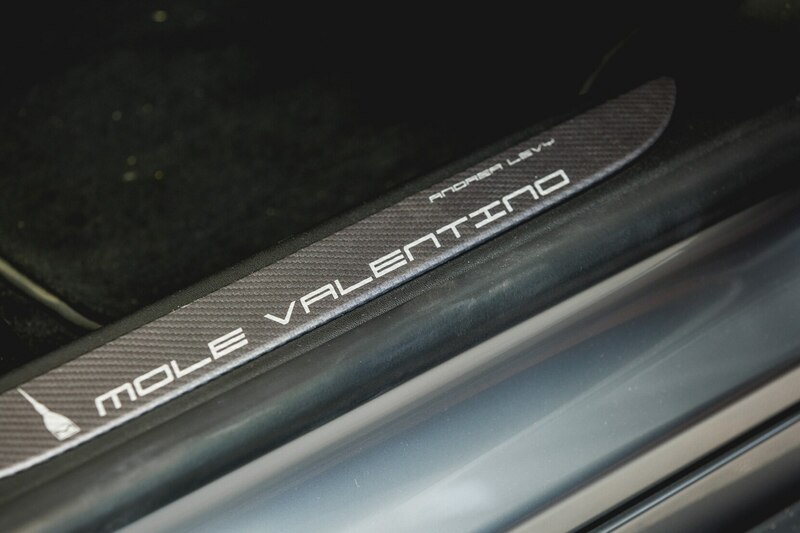 The better play for anyone interested in Palermo’s style, though, will be to wait and see what Mole comes up with for its sleek, tube-chassis e-coupe. 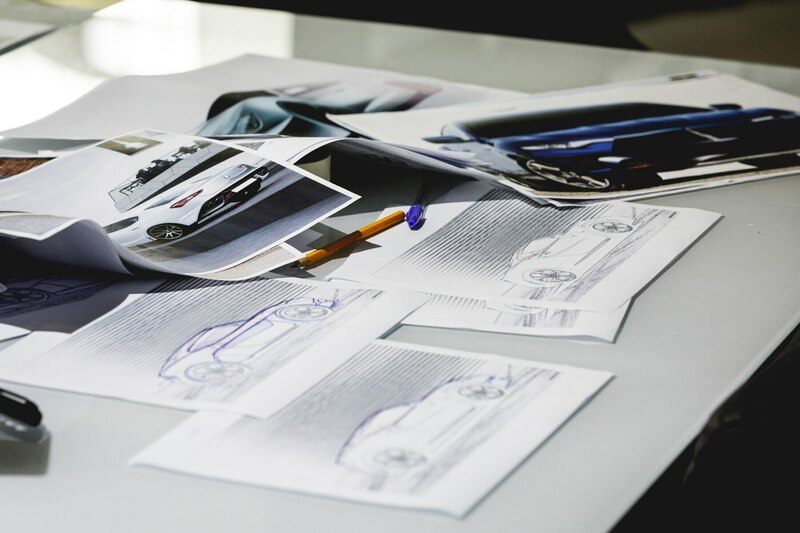 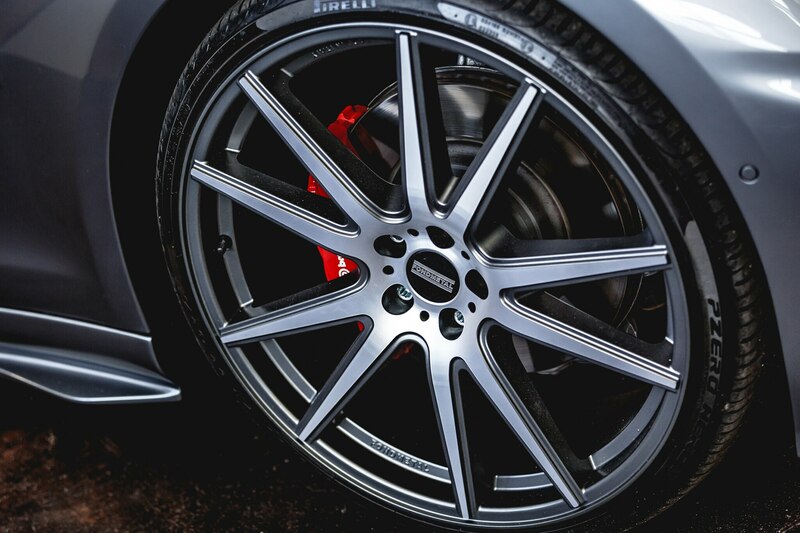 That car will no doubt follow the Italian-designed, coach-built tradition of being ungodly expensive, however, so it will be for the well-heeled only. 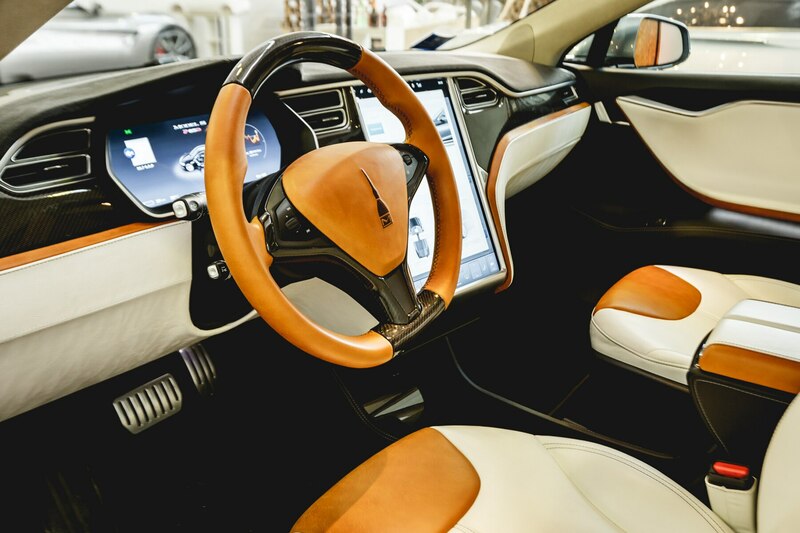 But if you don’t want to wait, perhaps we could interest you in a cappuccino maker?